By default the ship-to address for a project is the project/client's address, and you can set this default ship-to address when in the "Edit Project" mode of your project. If there are other addresses you need to have items shipped to (e.g. receiver house, workshop, your office), you need to save those addresses in the Addresses page in your account settings. 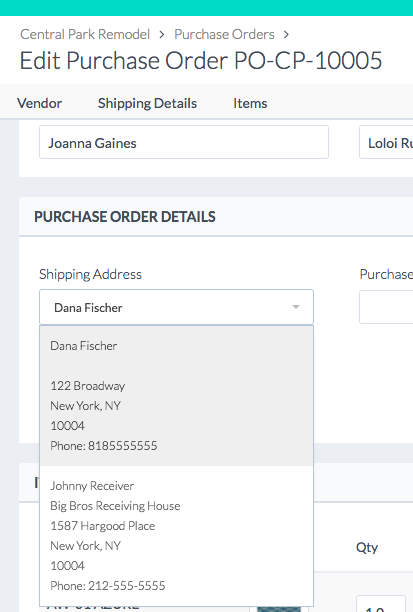 After you do that, those additional addresses will be options you can select from for the "ship-to:" field on the PO.